Here’s a new roundup of reality TV star snapshots to kick off your weekend! Look below for snapshots from Real Housewives of Beverly Hills newbie Eden Sassoon with Kyle Richards and Lisa Vanderpump, the Teen Mom 2 stars, Real Housewives of Atlanta‘s Porsha Williams, Vanderpump Rules star Stassi Schroeder, and more. American Idol has come to an end… for now… and I, for one, am sad. 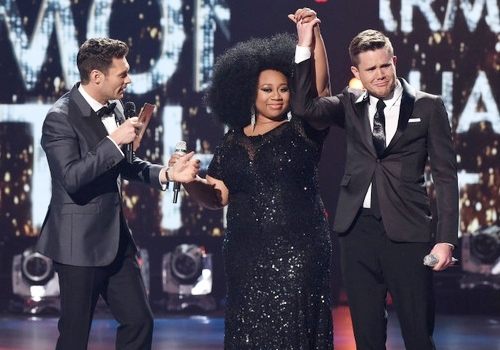 Last night, Trent Harmon was named the Season 15 winner, and the “bookend” to Kelly Clarkson. Today, both Trent and La’Porsha Renae signed major record deals, however. Both well deserved. Notably missing (to me anyway) were Adam Lambert, Haley Reinhart, Casey Abrams, Crystal Bowersox, and a mention of late Michael Johns. But, still, it was a great two hours of television. That I may or may not have watched twice already. 😉 Look below for pictures from the American Idol series finale. Yolanda Foster has graced New York Fashion Week with her presence. Yolanda arrived at the Tommy Hilfiger show to support daughter Gigi Hadid. With a picture of Gigi in her hand. Because, of course. Moments later, Yolanda kissed said picture (see the shot below) for the cameras. Because, let us never forget, Yolanda loves her Gigi. Also spotted, Carole Radziwill, Gigi, Kendall Jenner, Gigi, Aviva Drescher, Gigi, Lisa Rinna, Gigi, Kristen Taekman, and Gigi. Because all. the. cameras. are on Gigi, Phaedra Parks and Brielle Biermann took to Instagram to let us know that they, too, are in NYC. Photos – Reality TV Stars Take On Winter Storm Jonas! 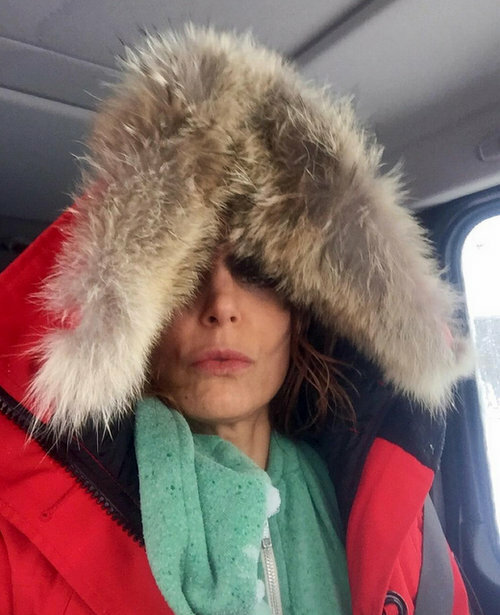 While some of the reality TV stars in the path of Winter Storm Jonas hightailed it to Florida (We’re looking at you, Luann and Ramona! ), others stayed behind to weather the storm. Then they took to Instagram to share pics. Nothing – not even a blizzard – can get between these reality TV stars and their social media. Below you’ll find more pictures from Real Housewives of Potomac star Katie Rost, Million Dollar Listing New York stars Luis D Ortiz, Ryan Serhant, and Fredrik Eklund, Real Housewives of New Jersey star Melissa Gorga, American Idol alum Jennifer Hudson, DWTS host Tom Bergeron, & more. Our favorite reality TV stars took to Twitter to share shots of their adorable kids all dressed up for Halloween. They're too cute! In case you missed it, check out the reality TV stars showing off their own Halloween costumes. Above: Bethenny Frankel and daughter Bryn show their Halloween spirit in candy themed costumes. Bethenny threw a Halloween costume party for Bryn and her friends and even had a pink stretch limo drive them to the party. Below you'll find photos from Melissa Gorga, Jenni Pulos, Teresa Giudice, Alex Sekella, Kyle Richards, Laura Govan, Bonnie Blossman, & more! Forgive me, but I didn't realize that American Idol was still going to be churning out seasons. I used to be addicted to the original talent showcase…and not just for the crazy first round auditions. On that note, do we know what William Hung is doing right now? Once the show started trading out judges like Housewives trade out Hermes bags and cocktails, it seemed to be on a constant decline. My dawg Randy Jackson, the only original judge remaining, decided to cut his losses after the most recent season, and his counterparts have been quitting left and right. Keith Urban appears to be the only one who has any interest remaining on the sinking ship. However–and I never saw this coming–there are loud rumblings that the show is in talks to bring back a former judge who I'd actually tune in to see. I never gave much thought to Jenny from the Block, but I'll readily admit that I really enjoyed Jennifer Lopez on Idol. If she returns to judging, maybe I'll return to watching! Above: Karent Sierra tweeted, "Gangster party at Lisa Hochstein's Star Island tear down house." Below you'll find Twitter pics from Lisa Vanderpump, Padma Lakshmi, Brandi Glanville, Cynthia Bailey, Gleb Savchenko, and more. Wow! Is American Idol really aiming for an all-alumni judging panel? This crazy – crazy good? crazy bad? not sure yet! – rumor seems to be true, and Jennifer Hudson is reportedly the first one to sign on the dotted line. E! News reports that Jennifer will judge season 13 of American Idol with two other former contestants. Sources claim that producers want Kelly Clarkson, who is purportedly thisclose to accepting the gig, and either Adam Lambert or Clay Aiken.